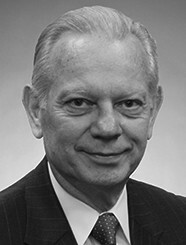 Prior to joining Generational Equity, Dr. Hermann served as Chief Executive Officer of a group of companies that he founded to provide special long-term financial planning services to high net worth individuals and business owners. Previously, he was a partner of a public accounting firm, and Chief Operating Officer of a management-consulting group where he founded three successful subsidiaries. Dr. Hermann understands both the challenges of business ownership as well as the issues involved in successfully exiting a business. His insight and personal experience as an entrepreneur, having started six companies of his own, and his corporate executive experience enable him to assist other business owners in understanding the mergers and acquisitions process, exploring appropriate liquidity options and preparing for a business transition. He served as a Captain and Green Beret in the United States Army Special Forces. Dr. Hermann earned his B.A. in Business and Accounting from San Francisco State University, his J.D. from Hastings College of The Law, and his Ph.D. in Business Administration from the American University in London.